Some pictures of Anna's descendants. 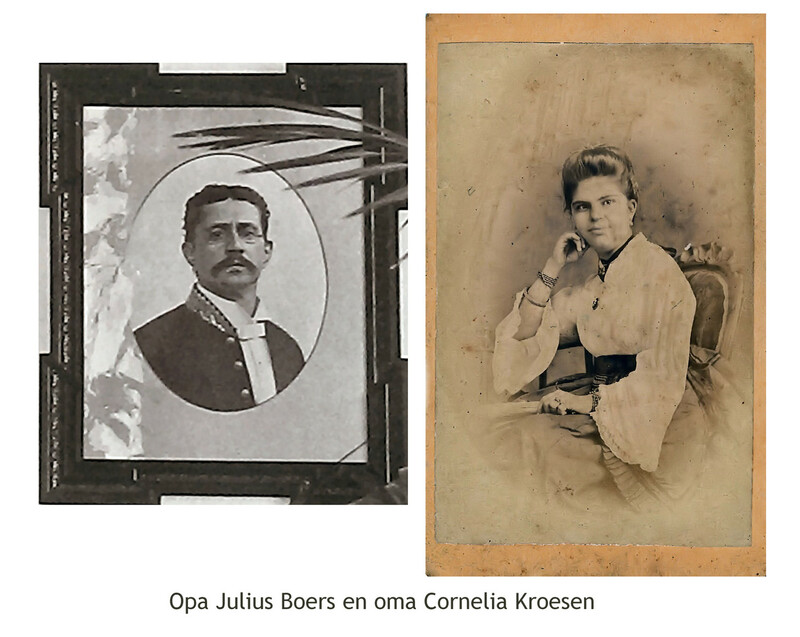 Left top: Julius Boers, son in law of Anna with Cornelia Helena Geertruida, Anna's second daughter. 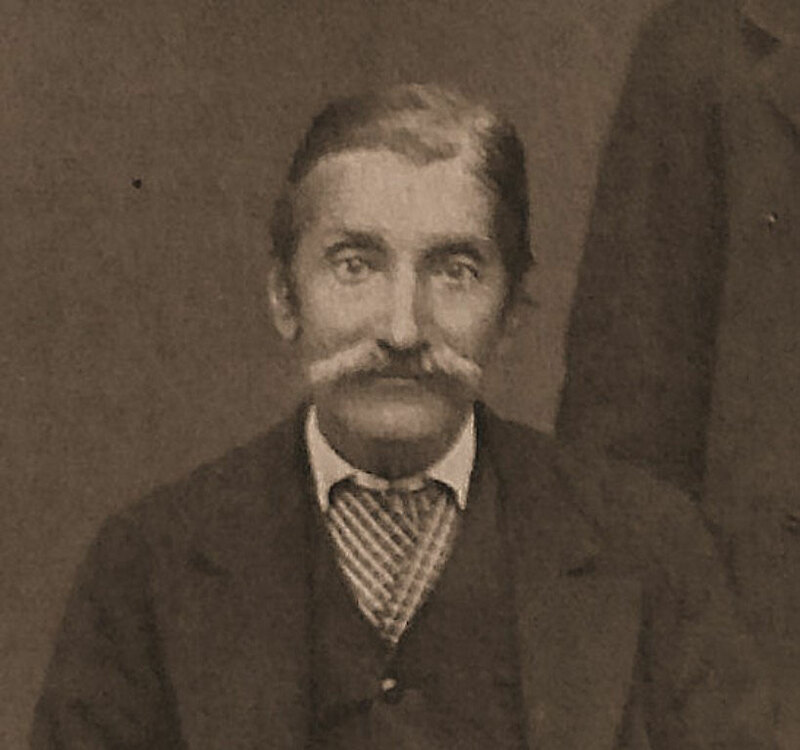 Second from top: Willem Egbert Boers, grandson of Anna. 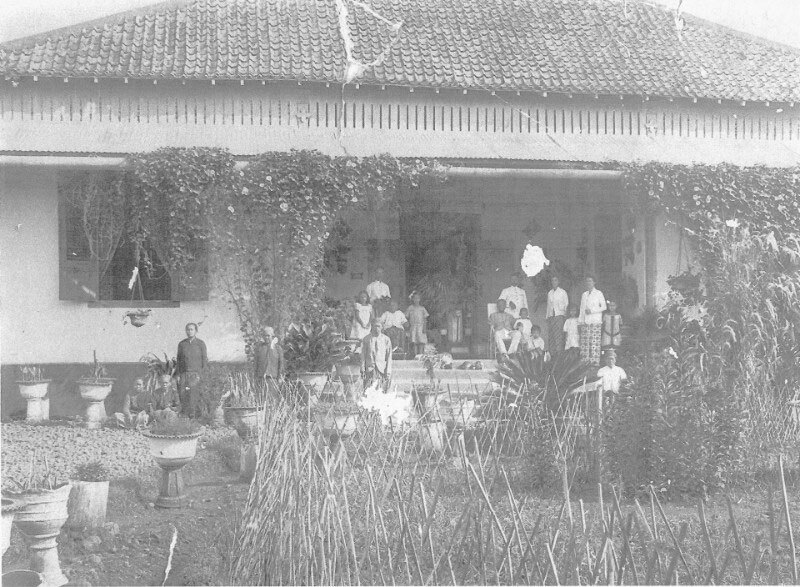 Third from top: The house at Banjarmaisn where Cornelia lived when her husband was Governor of Banjarmasin 1894-1898. 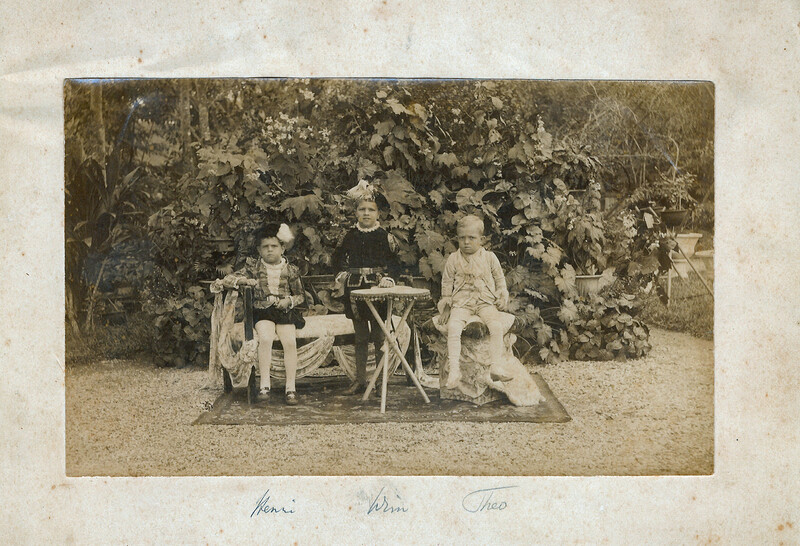 Bottom: Anna's grandsons. Left: Henri Constant. Mid: Willem Egbert. 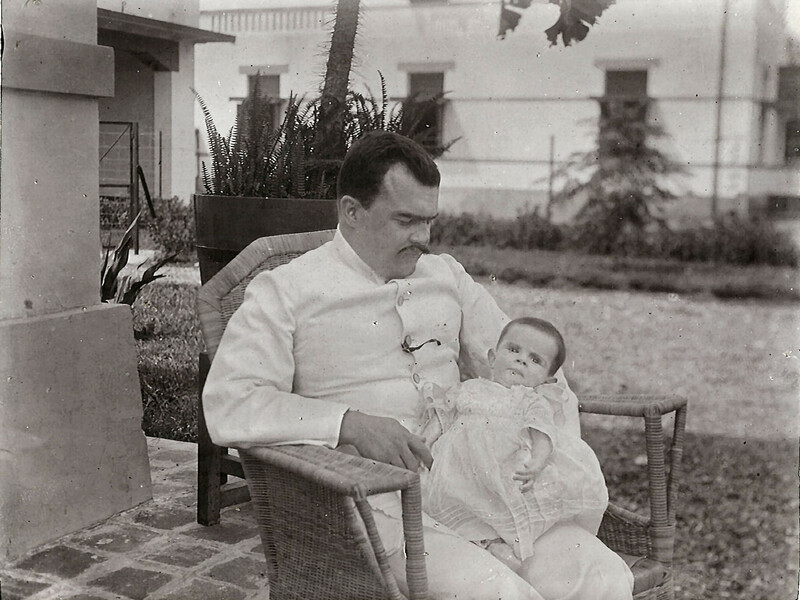 Right: Theodoor Henri Marie my father. 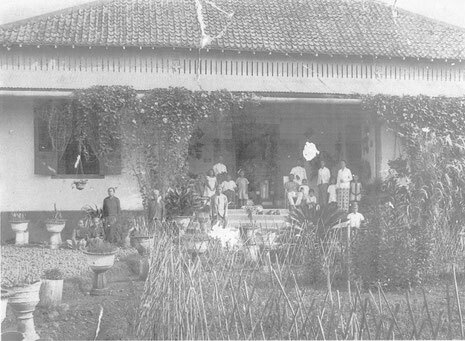 Scene at the yard of the house in Banjarmasin. 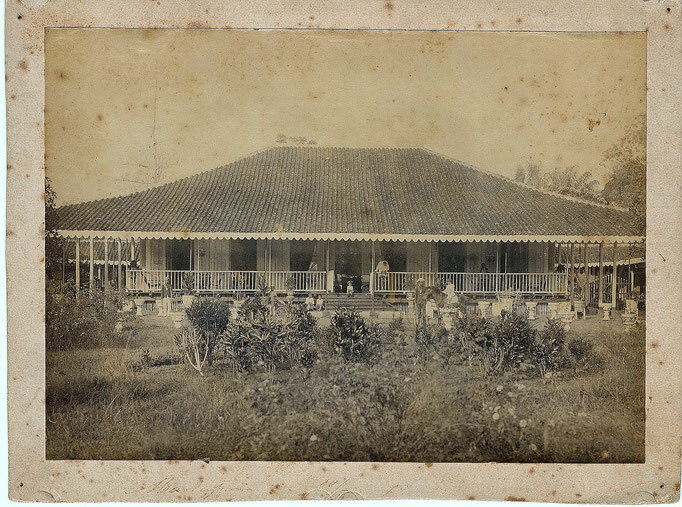 Uncle Henri Constant (Anna's third youngest grandson) was in internment from 09-07-1942 till 15-08-1945.... He was freed and immediately nursed in the hospital. 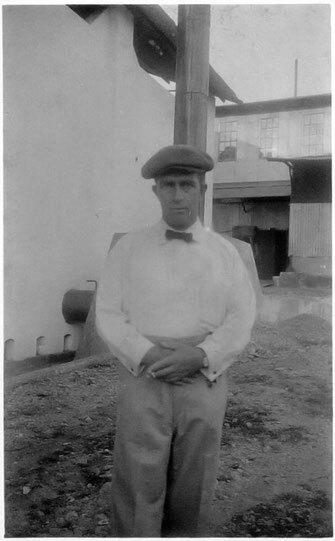 But he had suffered too much from internment and died 1948 due to his deadly injurements which could not be healed. He constantly suffered pain.... The above spoon was his companion in internment and it is now safe with me. My father had been rewarded by the Almighty Lord and he was called in febr. 1944 when still in internment and did not suffer a long time. The Almighty Lord was mercifull to him. 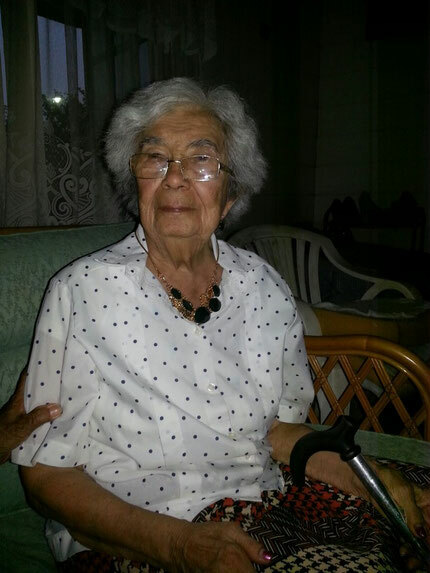 My mother was, like my uncle, not rewarded by the Lord Almighty and she lost her life 7 months after the end of the war, also due to internment sufferings. Todate 16th dec 2015 she is blessed with an age of 94 years. But she too suffered from the World War II... However, her strong Armenian gens helped her to reach this respectfull age. She is one of Anna's great- grandchildren. Another great- grandchild of Anna. He became a war victim as he was in service at the Marines and together with about 950 mates, he was torpedoed by the Japanese fleet on 27-2-1942 in the age of 23 years. My father Theodoor Marie Cornelis. 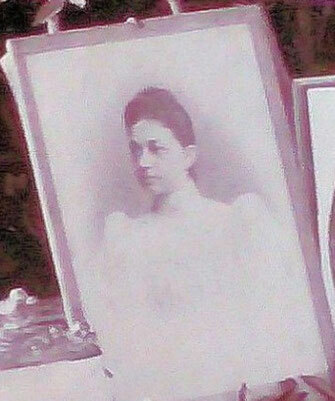 She died at age of 22 years after giving birth to her child. The child lived for another 3 weeks and returned home to his Lord Almighty. She was the first wife of my grandfather. 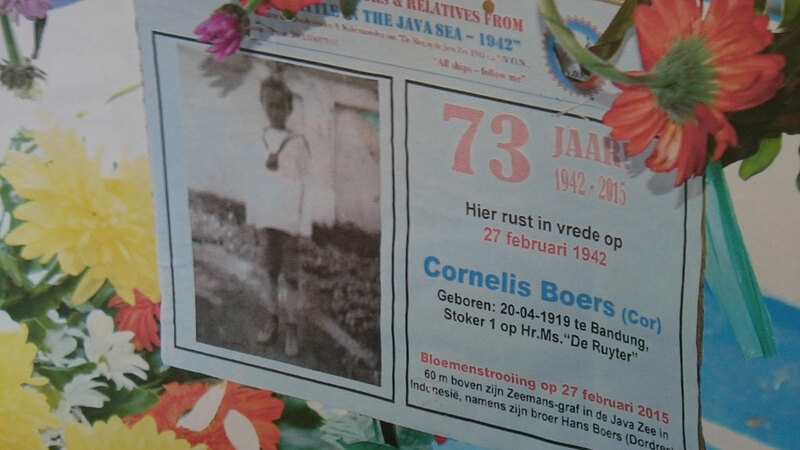 He mourned 5 years before he re-married her sister Cornelia who became my grandmother. Unfortunately the picture is rather blurry. Anna's cousin and uncle around 1900 at Jakarta. 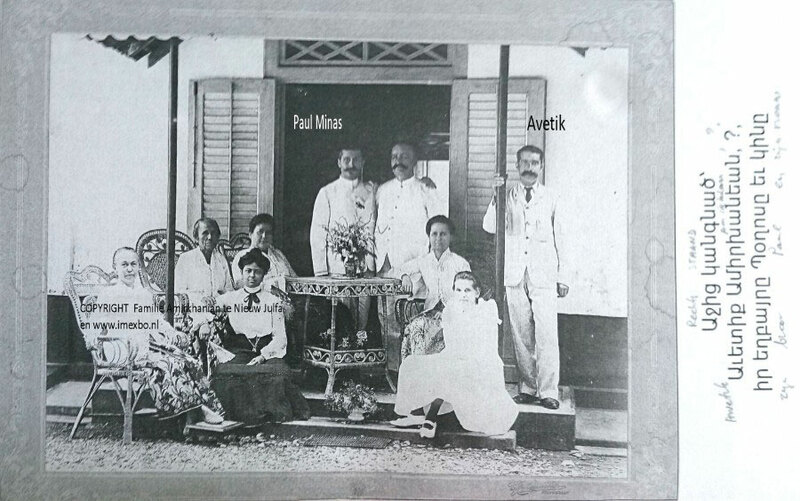 Paul Minas had a department store bazar. He died 1911 in Holland.